These are the instructions to root Samsung Galaxy Note 5 on Android 5.1.1 Lollipop. Google did not make it easy to get the system internals unchained this time for those running one of the final version of Lollipop before the Marshmallow update comes out. 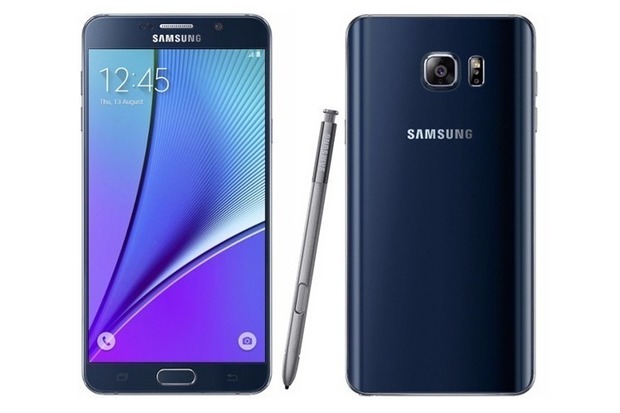 Here is everything you need to know to root Galaxy Note 5 on Android 5.1.1 Lollipop. You must have the Galaxy Note 5 SM-N920C or SM-N920I to use this guide. 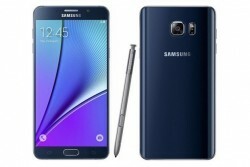 The following guide is for the Samsung Galaxy Note 5 smartphone. Moreover, we can only recommend following this guide for Android 5.1.1 Lollipop. The exploits we are using it this guide might get patched in Android 6.0 Marshmallow for this device or it might not. That’s why it’s best to learn how to unbrick and unroot your Sammy smartphone and become and experienced Android user before applying root procedures. You must have a Windows PC to follow this guide. The Odin flashing tool doesn’t work with any other operating system. Download the Samsung USB drivers  for mobile phones. The Developer Options menu should already be enabled, and the USB Debugging Mode should already be on. Although, we can double check these things if you prefer. Tapping over the build number 7 times will unlock the Developer Options menu which you can access from the Settings. Now that you know where the Developer Options is, you can enter that menu and make sure the box for USB Debugging is checked. Applying these steps on your Samsung Galaxy Note 5 does void any warranty that you might have remaining. Furthermore, Samsung devices come with added Knox security so simply unrooting them and returning back to a stock recovery isn’t always going to get your warranty working again. Stay in the Developer Options and enable the OEM Unlock option by checking the box for that so it’s not empty. Download the SkyHigh TW custom kernel Package . Disable the Knox security on the Note 5. Download and install the Synapse app  from the Google Play Store. Boot the Samsung Galaxy Note 5 in download mode . Unzip the SkyHigh TW custom kernel and the Odin flashing tool on your Windows PC. Connect the Samsung Galaxy Note 5 to the computer once you know it’s in download mode. Click the AP button in Odin and browse the desktop for the SkyHigh kernel. Click the Start button and the custom kernel will now be flashed on your Samsung device. Just wait until the Odin app gives you the pass message on the display. The Note 5 should reboot by itself also. Unplug the Samsung Galaxy Note 5 from the computer now and open the Synapse app you installed earlier. Tap the button to confirm you understand when it asks you and then tap the little icon from the next screen to apply the new defaults. Open the Synapse app once more and navigate to the File System and then wipe the system cache and dalvik cache. Now reboot the smartphone and you’re done. That’s all you need to root Samsung Galaxy Note 5 on Android 5.1.1 Lollipop. See; wasn’t so bad was it?